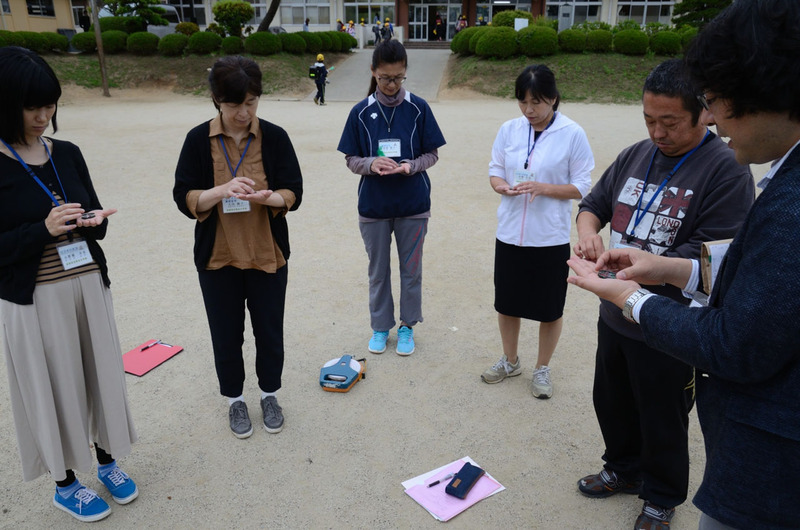 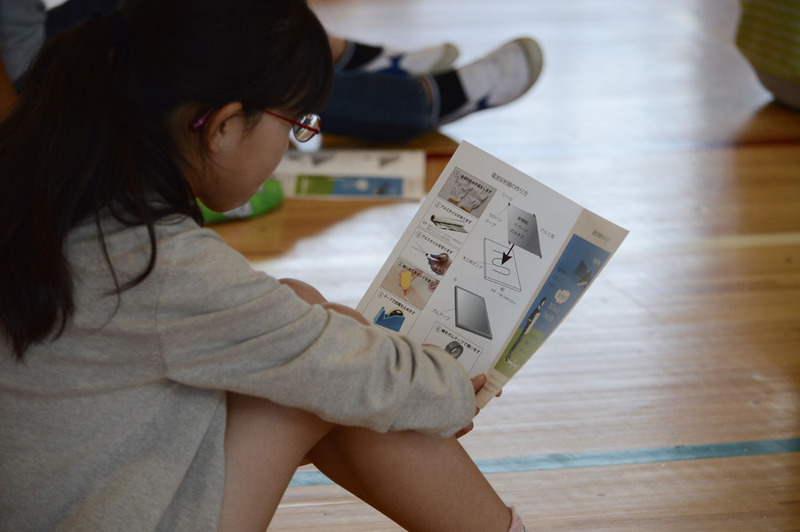 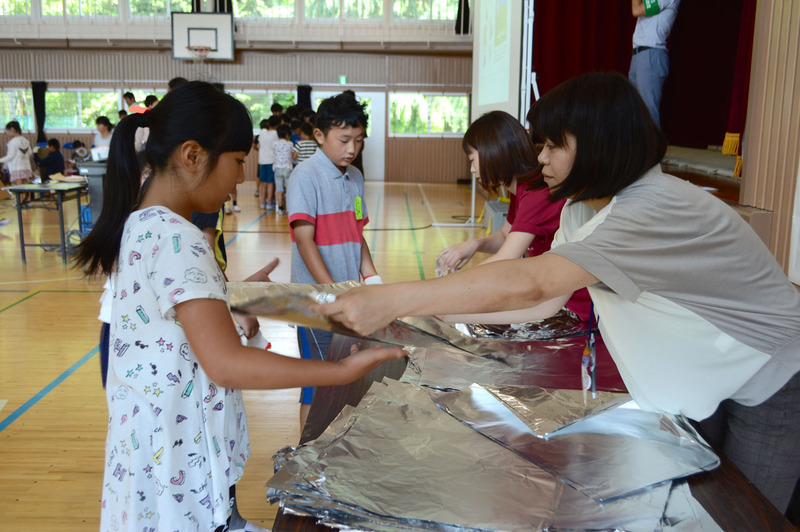 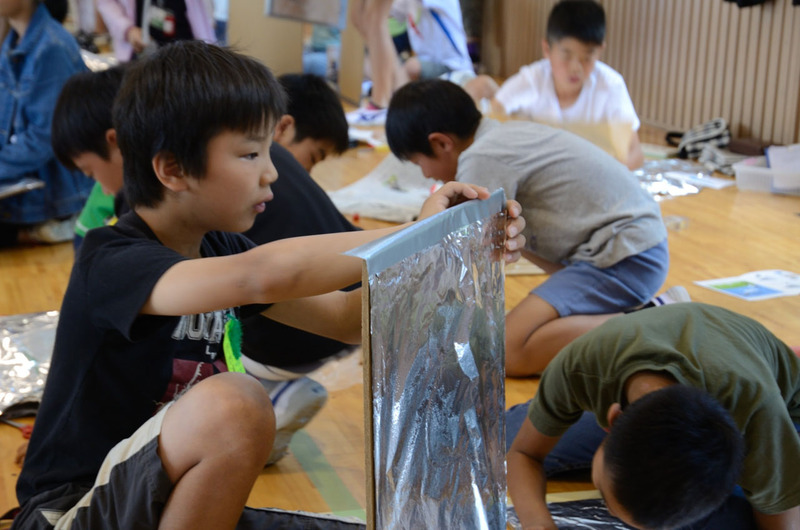 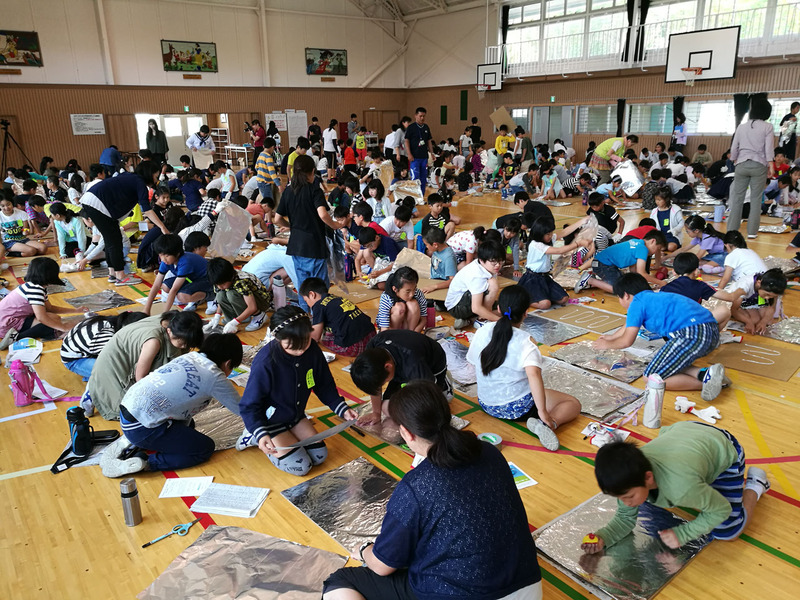 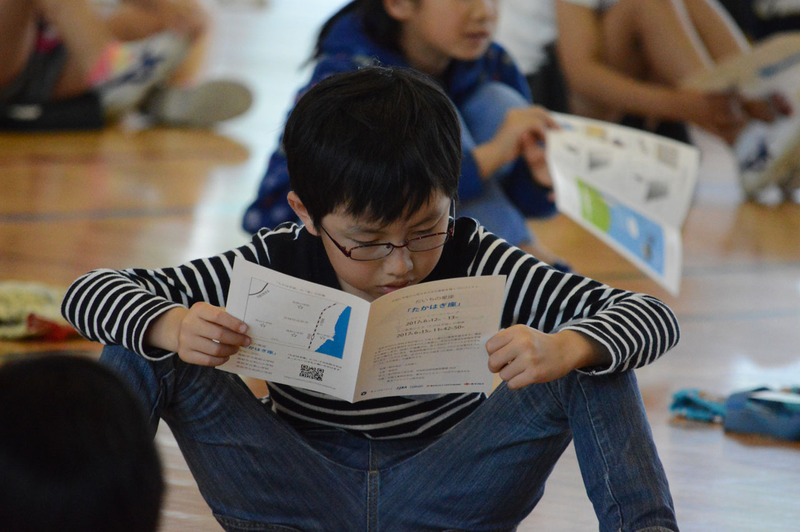 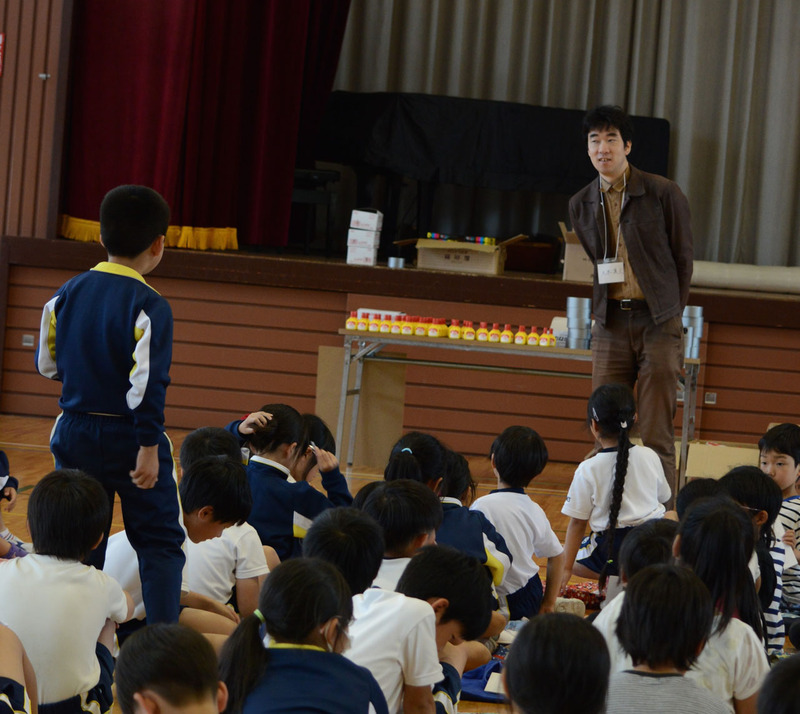 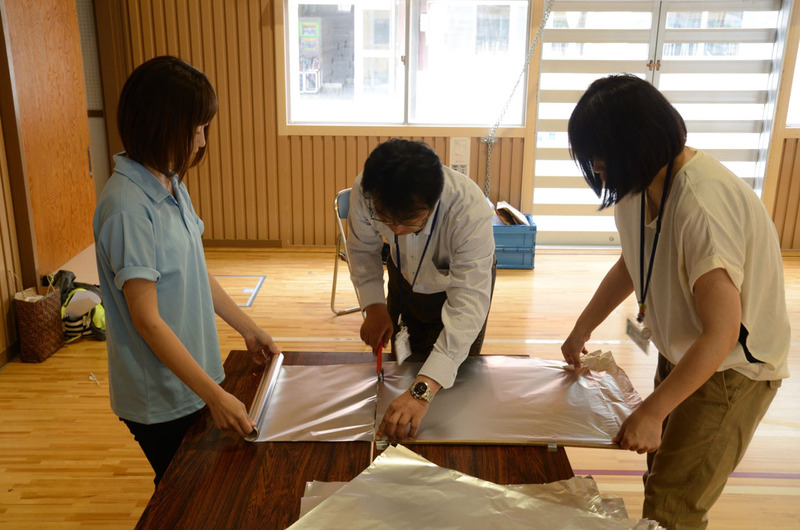 For Takahagi Constellation, there were lectures attended by all the pupils at all four elementary schools in the city of Takahagi, along with workshops for their third- to sixth-years. 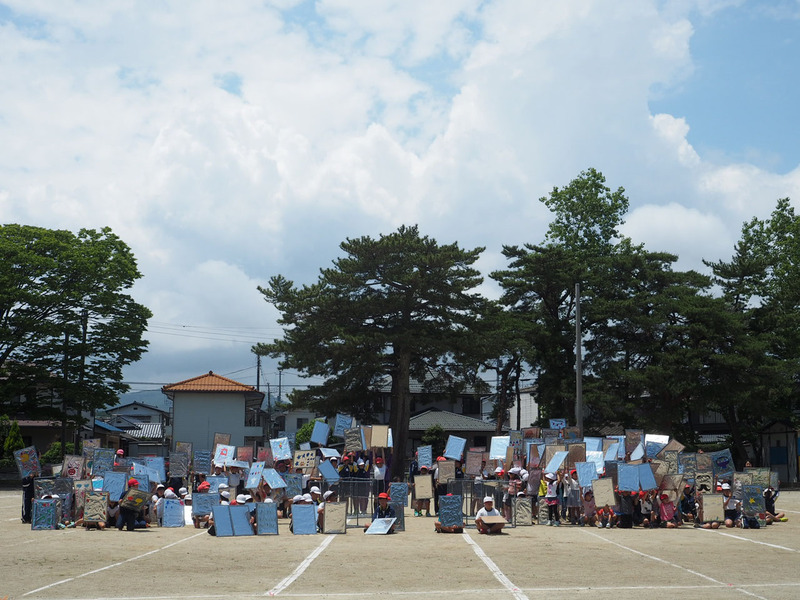 The children stood in rows along white lines marked on the school grounds by the schools’ teachers, and held plate reflectors lined with tin foil on one side at fixed angles facing the passing satellite. 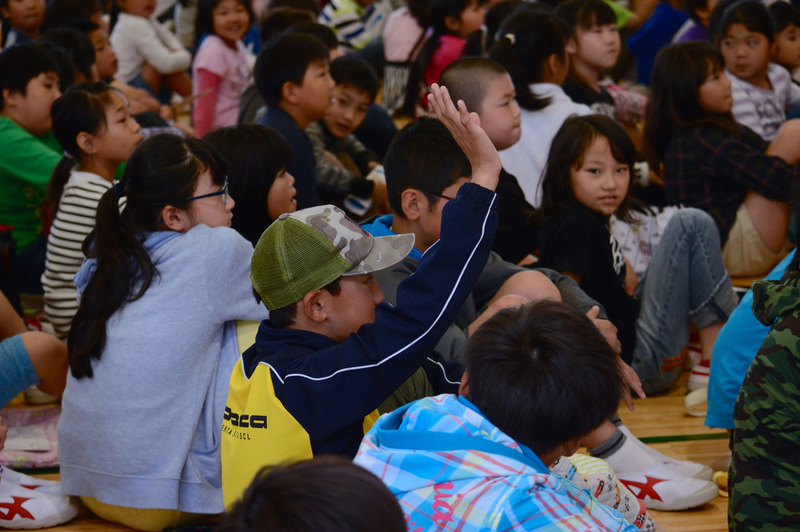 Roughly 1,200 children in total participated at the time of imaging. 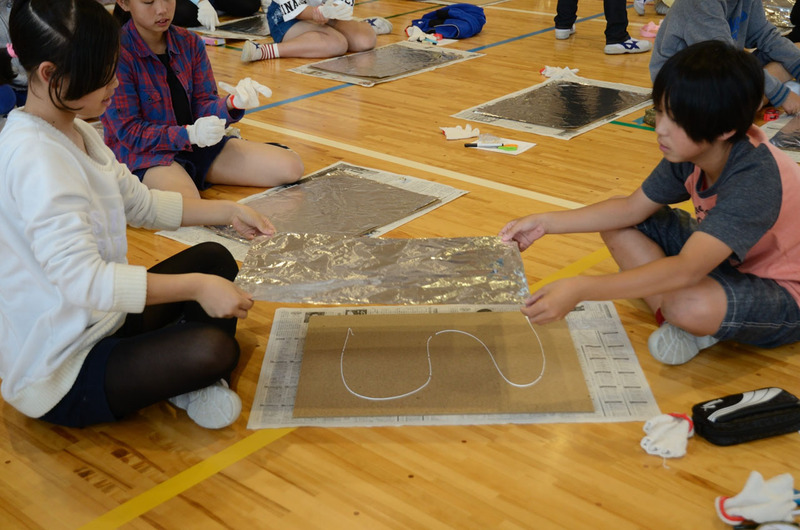 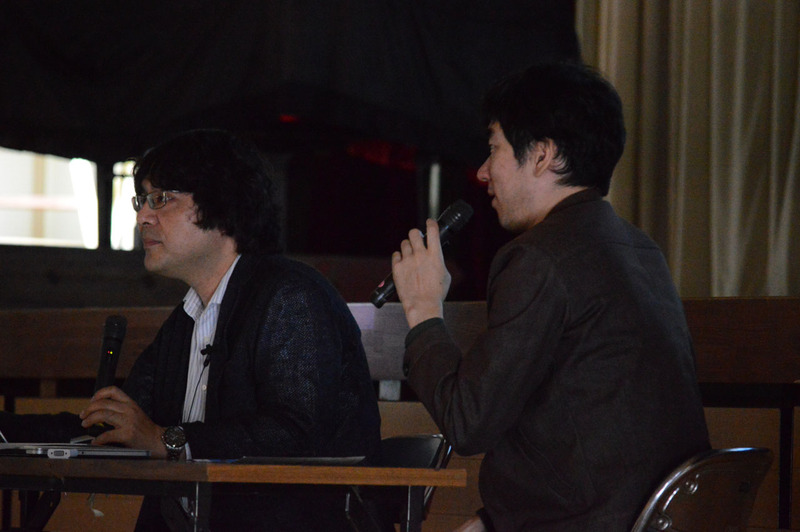 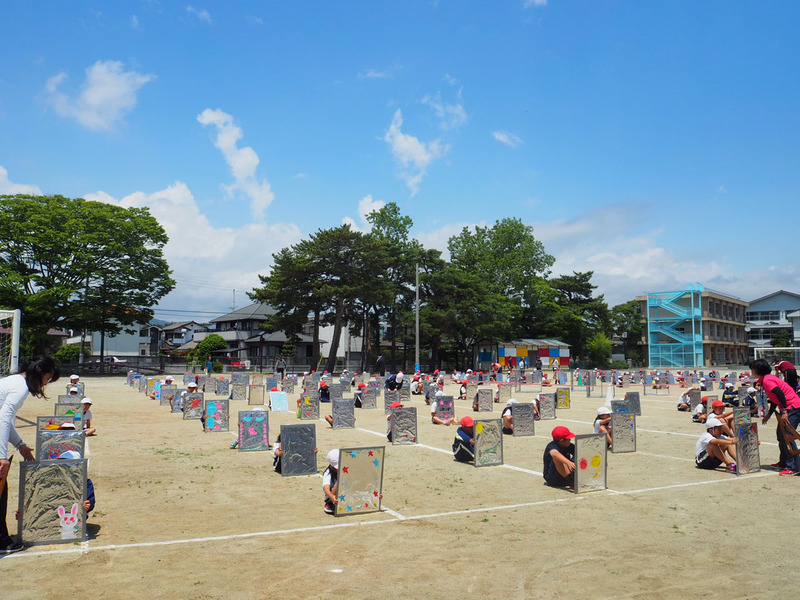 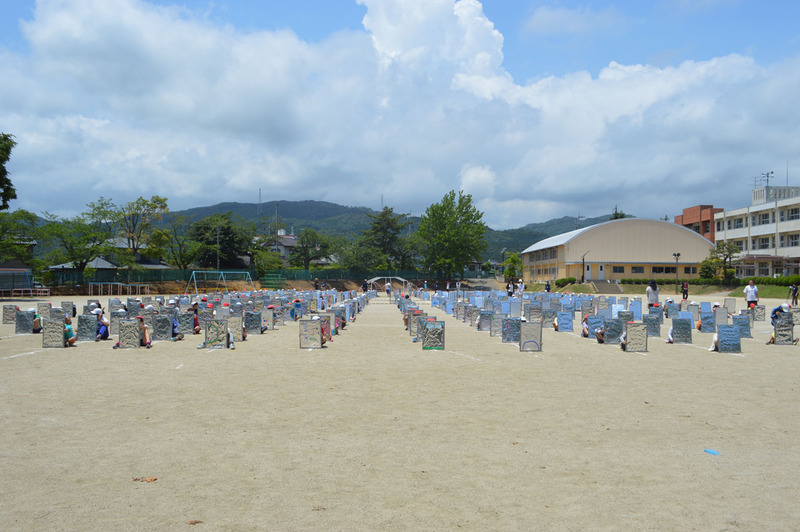 They succeeded in drawing large “nebulae” in each school ground, completing the Takahagi Constellation. 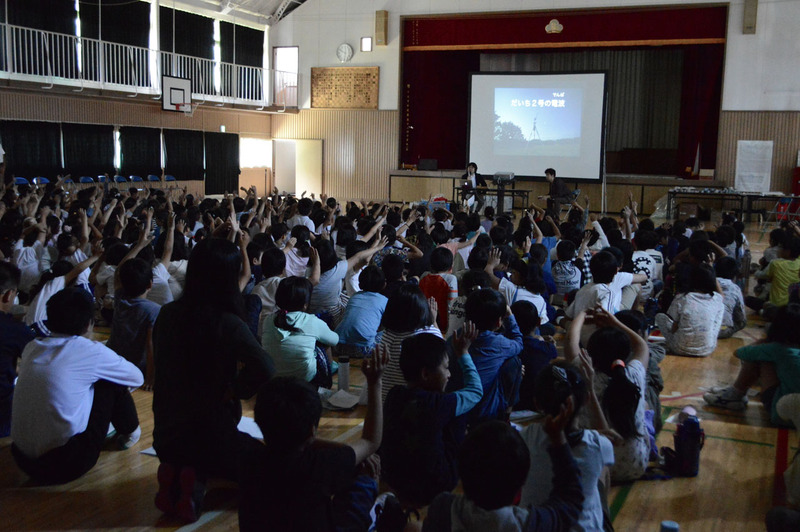 This installment is the only one in the Constellations series in which the Earth observation radio waves from Daichi 2 were received at every imaging location using receivers, sharing the sounds in real time (through the schools’ PA system and such). 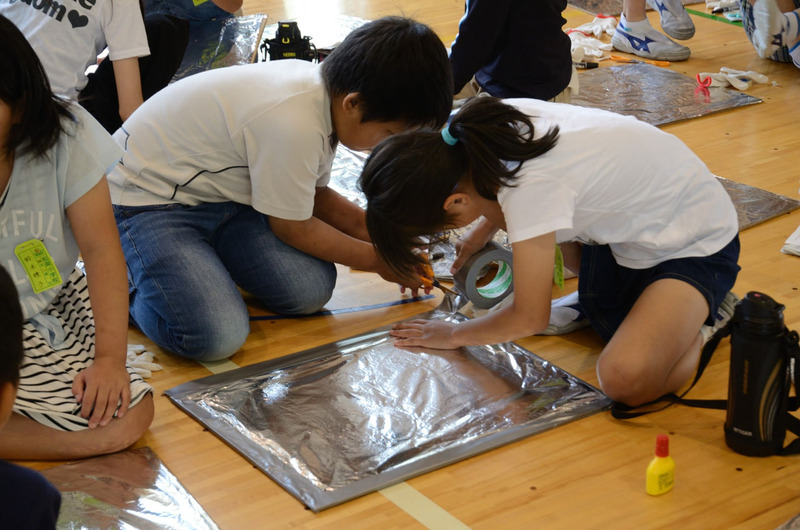 It thus allowed the children to use their sense of hearing to picture the connection between the satellite out in space, and themselves standing on the earth.